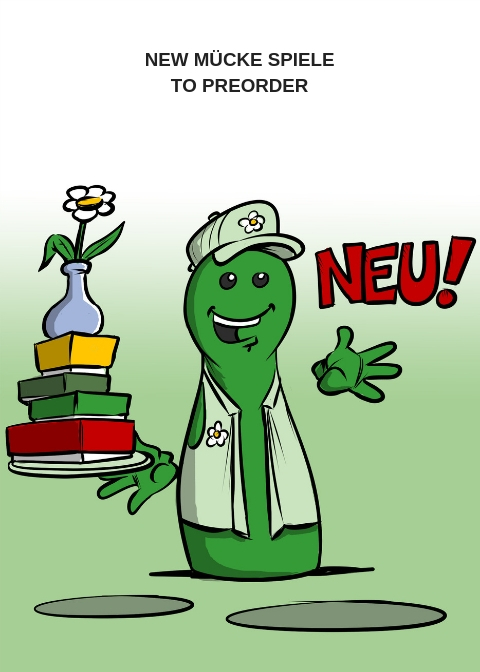 preorder the new games of Mücke Spiele, PROFESSOR 3STEIN, AGAME NOT LAME, ¡ADIÓS CALAVERA!, 3 PLAYER EXPANSION at the Spiel direkt eG. 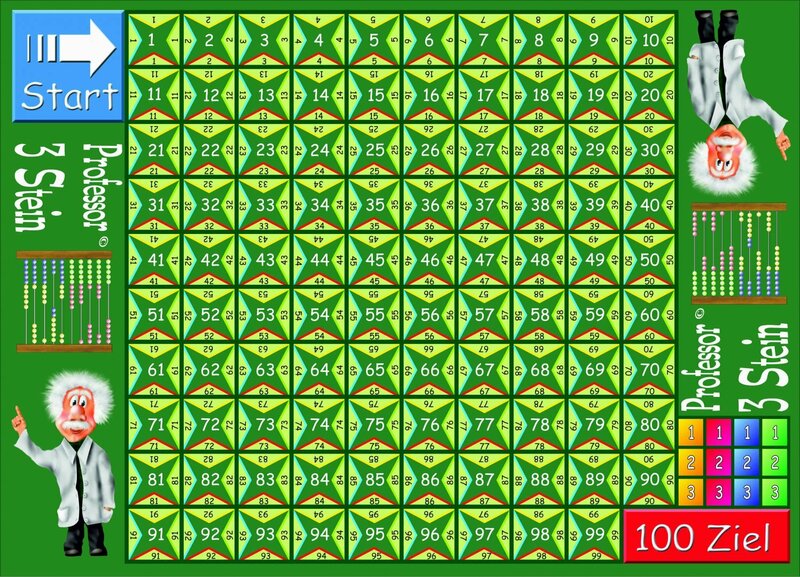 Professor Dreistein is a calculation and strategy game with several game variants for 2-4 people from 5, 6, 8 or 10 years, with a playing time of 15-20 minutes. 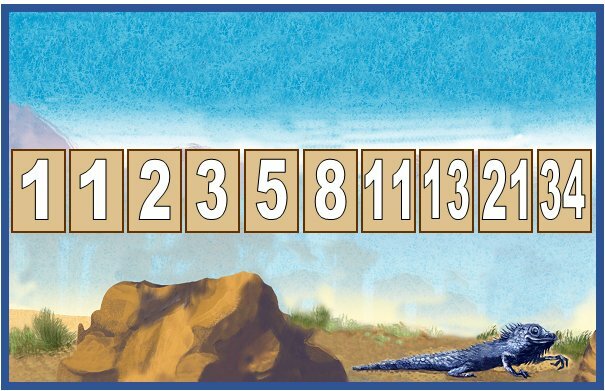 The game promotes logical thinking and the calculating ability of children and adults in a playful way. In a maze of one hundred fields, the players use dice to calculate mathematical results with them to move forward. Depending on the game concept chosen, this includes different operations (thus different levels of difficulty). Preorder PROFESSOR 3STEIN at the Spiel direkt eG. A tactical card game Description: In the card game Keine lahmen Agamen, the players collect "Agames" featuring different values. The players score when they manage to collect a row of agames cards with ascending values and – even better – in the same colors. During the game, already played cards can be taken from the opposing players to either reduce their score or improve one's own collection. Preorder AGAME NOT LAME at the Spiel direkt eG. ¡Adiós Calavera! 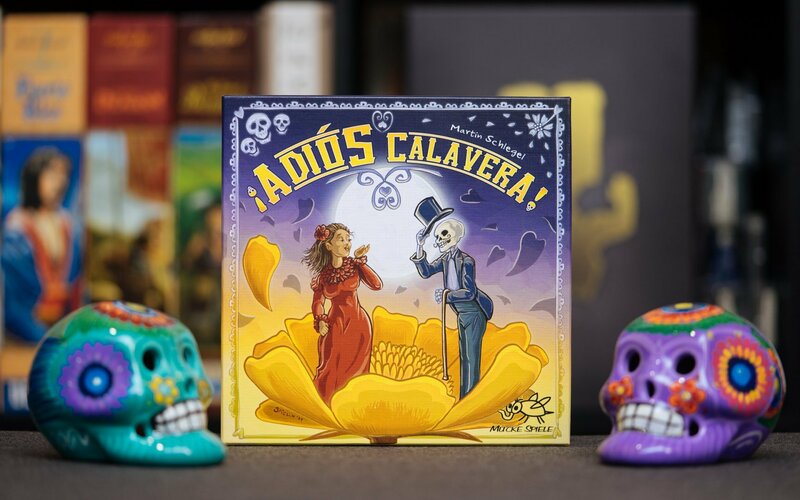 - The Three Player Expansion Playful get-together of the dead and the living by Martin Schlegel Description: With ¡Adios Calavera! : The Three Player Expansion, unlike in the normal two-person version of the game, each player chooses from their seven figures three with special abilities and two without, then places these on the hexagonal game board. The gameplay stays more or less the same, with the first player who manages to move all their discs to the opposite area winning the game. Preorder ¡ADIÓS CALAVERA! 3 PLAYER EXPANSION at the Spiel direkt eG.